Garrop’s Gallery is pleased to offer several formats for artwork. Original – The original piece of art, in oil, acrylic or watercolor. Optional frame available. Size/Cost: Please contact Barbara. Giclée – High-quality reproduction of the Original piece on archival canvas using archival ink; includes UV inhibiting treatment. All Giclées are personally approved by Barbara Garrop for color accuracy. Optional frame available. Size /Cost: Please contact Barbara. Pet Portraits – Original oil portraits of any animal from any accurate photo. Sizes: 11” x 14”, 16” x 20” or larger. For detailed information, please contact Barbara. Portraits/Landscapes/Paintings from Photos – Original oil portraits of people, landscapes or any favorite photograph. Sizes: 11” x 14”, 16” x 20” or larger. For detailed information, please contact Barbara. Garrop’s Gallery is pleased to offer gift certificates for commissions to surprise someone special with a one-of-a-kind gift. Gift certificates may be redeemed at any time and never expire. Garrop’s Gallery accepts Cashiers checks and PayPal™. Shipping is available via UPS or FedEx®. 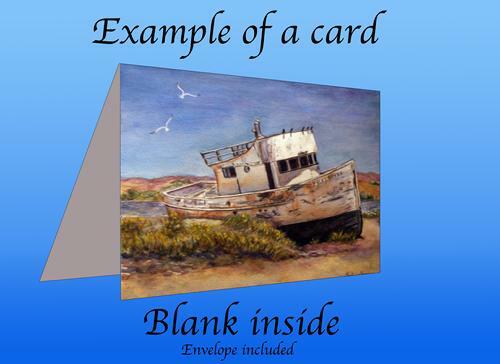 Shipping time and costs are dependent upon the shipping method selected and weight of artwork. Insurance is optional but recommended. Please note sales tax is charged for deliveries within California. To purchase, please contact Barbara at bagarrop2@gmail.com.